Three easy ways to put your marriage back on track now. Divorce help in Orlando with Family Mediation. End your marriage better, on your own terms, and with an agreement you can both be happy with. Looking for divorce help in Orlando? Looking for divorce help in Orlando can be overwhelming. Where do you start and what kind of divorce help will work best for your family? These are just a couple of the questions facing couples looking for divorce help. Do you hire a divorce attorney or use a paralegal? Have you considered completing all the forms on your own but don’t know where to start? All divorce help is not created equal. While the goal is obviously to get divorced, the process by which you get is more important than you think. Looking for the best divorce help in Orlando depends on what your family needs and whether reaching an amicable (friendly) agreement is a top priority. Most divorcing couples have the first thought that they need to hire a divorce attorney. While this is a great option, not all people want to become adversaries (at odds) with their ex nor do they have the money to retain an attorney (costing upwards to $4800). If the lines of communication are still open with your ex, and your divorce will be uncontested (meaning you both can agree on most major issues), using a mutual mediator is the best option for divorce help in Orlando. Looking for divorce help becomes an easy process when you can work together with your current spouse. The time it takes to come to an agreement, file your divorce papers, and finish getting divorced is literally cut down to a matter of weeks versus months or even years. Children end up experiencing less stress and the co-parenting plan can begin much sooner. This provides ongoing stability and support for your family and eliminates financial stress from divorce. Divorce issues are painful, stressful, and can impact your daily life. If you find yourself in need of divorce help, consider a non-lawyer alternative to dispute resolution. Consider using someone with a mental health background that has specialized training in family mediation (helping people come to an agreement quickly). You can maintain control over your divorce issues and keep your divorce out of court where a judge or third party might end up determining your families fate. Florida court judges support family mediation because it means your have made an agreement that works for your family. They know that your decisions and the agreements you make in mediation have been without coercion by outside influences. The laws of family mediation provide you and your mediation with protection during negotiations. You have the ability to confidentially discuss all of your best options without it being held against you in court. Your mediator will support your family during the process and help you reach a mutually agreeable settlement for divorce and a parenting plan that works best for your family. Need divorce help in Orlando? Find the divorce help you need that will work with your whole family. You can finalize your divorce for less money, less time, and ensure everyone is happy with the outcome. Contact a neutral family mediator today that can help you get divorced better. Orlando Thrive Therapy offers more free information at https://www.orlandothrivetherapy.com. The office is located near downtown Orlando. Contact us today by calling or confidential email. Rise above any circumstance, for GROWTH, EMPOWERMENT, and better QUALITY of life! Call today for a 30 minute phone consultation or Follow Orlando Thrive on Facebook or Instagram. 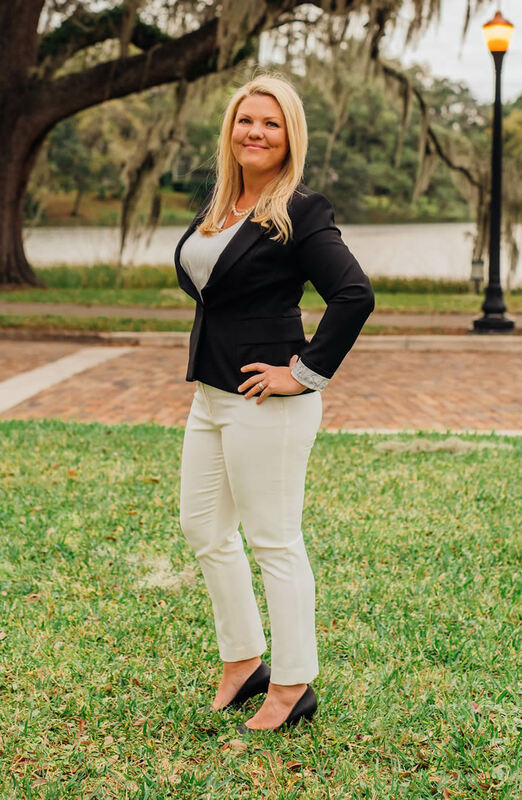 Heather Oller is a licensed Orlando therapist at Orlando Thrive Therapy, Coaching & Counseling who specializes in counseling Orlando couples, individuals, and families who are seeking changes in their lives. She has been a mental health professional for over 17 years and is a practicing Orlando counselor that specializes in conflict resolution for couples. You can contact her for an appointment or call 407-592-8997 for more information.